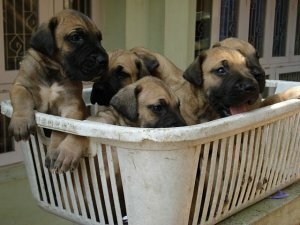 We have adorable Litter of Great Dane Puppies for Sale in Bangalore. All the puppies are dewormed and come with KCI Certificate and Microchip. They are 40 days old and are ready to go to their new home. If you are looking to get one home then here is an opportunity which is knocking your door. We ship puppies to any part of India. We also have other breed puppies like Golden Retriever, Labrador Retriever, Beagle, Rottweiler and St. Bernard for Sale. Do get in touch with us for more details.